Placido Domingo sounded fresher in this second performance of Luisa Fernanda. I have seen again the DVD of the same production from Teatro Real in Madrid in 2006. Naturally with 9 more years Placido sound different now. Placido Domingo, the great tenor, is now singing baritone roles in full force. He is obviously dreaming of conquering all Verdi Baritone roles just like he did Verdi Tenor roles. 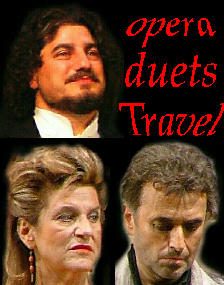 Verdi baritone roles is very far from the lighter zarzuela even if he is singing Vidal Hernando, a baritone role. 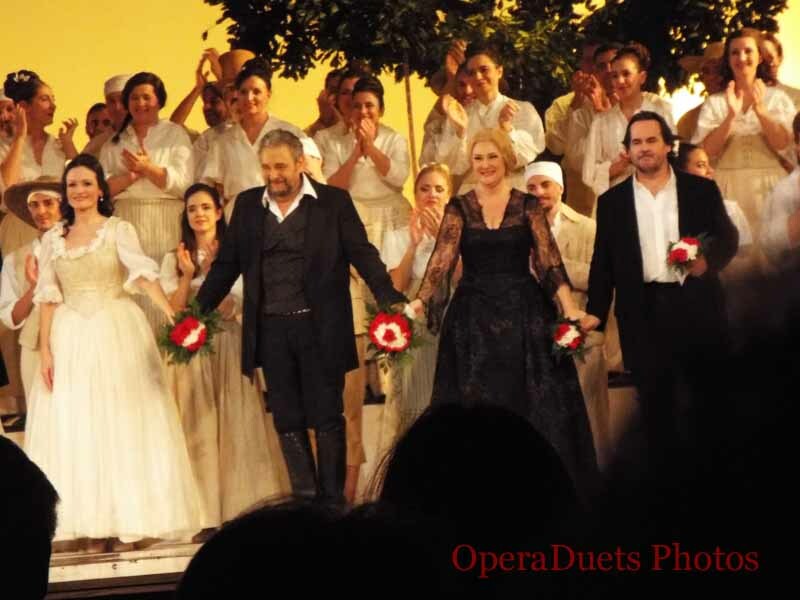 Still, Placido can still win people over. Is it the Magic of the Legend or does he still have It. Jose Bros as Javier Moreno just as in 2006 (DVD), but in Valencia he was even better. I am a big fan of Nancy Fabiola Herrera so I assumed I would prefer her in the 2006 DVD, but I found that Davinia Rodriguez gave the role more personality. In the DVD recording Mariola Cantarero was the Duchess Carolina, but also there did I find more personality and depth in Isabel Rey's intepretation. It is strange that or maybe it isn't, that the dvd feels more stuffed than the live performances in Valencia. Maybe it is that Valencia had the more superb cast also in the small parts and even chorus and dancers was more alive and real than in Teatro Real. I never saw this zarzuela in Teatro Real so I can only say what I see, feel and hear from the recording.